This hybrid of H. 'Sieboldiana' x H. 'Kabitan' was registered by Peter Ruh of Ohio on behalf of the originator, Eric Smith of England in 1997. It forms a medium size (18 inches high by 41 inches wide) mound of foliage which is bright yellow in spring and turns to light green in late summer. The leaves are narrowly ovate, have wavy margins with smooth texture. Pale lavender flowers bloom in late August followed by viable seeds. This cultivar is part of the "Hadspen Series" of hostas. 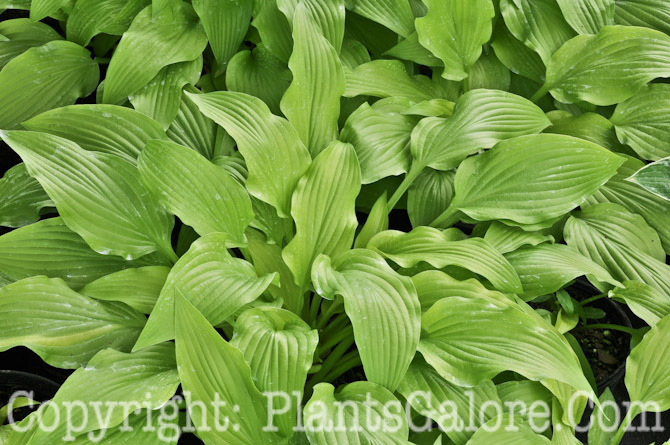 The New Encyclopedia of Hostas by Diana Grenfell (2009) states: "...among the hostas with the brightest golden-yellow leaves early in summer. Keeps its color best in high, filtered shade. Slow to establish." Similar hostas include H. 'Chartreuse' and H. 'Chiquita'.